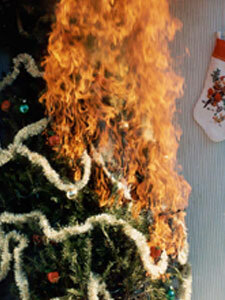 A Christmas tree, even one treated to be flame-retardant, is capable of burning explosively, spreading the fire throughout your home quickly. 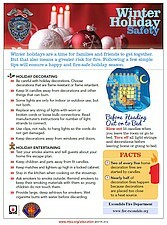 Following the Christmas tree safety recommendations below will help prevent this tragedy from occurring in your home. 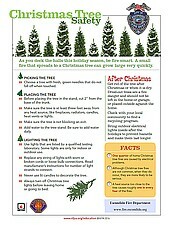 Place the tree in a sturdy stand, capable of holding a large amount of water. Check the water in the tree stand often. An average tree can consume a quart to a gallon of water every day. 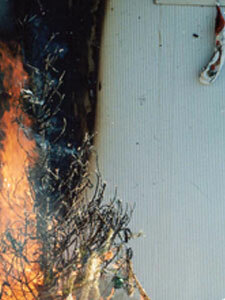 Do not allow the water level to drop below the base of the tree or pores will seal again, preventing water absorption. If pouring water in the basin is difficult, add ice cubes regularly. 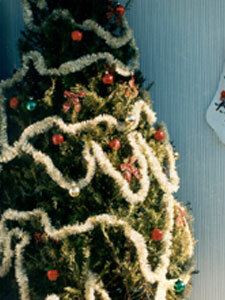 Decorate a tree with miniature lights rather than the larger ones to prevent heat build up and lessen drying effects. 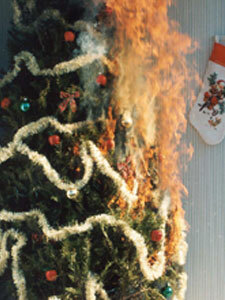 NEVER use real candles on a tree.